Many people outside the Etsy world don't see a lot of work that goes on behind the scenes of many of the shop owners. Aside from the natural talent so many shop owners possess, quite a few also possess the ability to create "treasuries", or shopping list ideas for potential buyers. I am so lucky to be featured in these treasuries, and wanted to use today's blog posting not only to share these beautiful features with my readers, but also to thank the artisan curators for including my products. Please click on one or more of the treasuries below and go shopping! A few weeks ago I posted about my upcoming craft show, my first, and was looking for recommendations on how to prepare. Well, I apologize for taking so long to update you on the results....it seems I wasn't quite prepared for the follow up and catching up that would happen after. I probably could have counted the number of shoppers on the fingers of two hands and not worried about using my toes. But I noticed that I had more sales than then vendors around me...quite possibly, more than the combined sales from the vendors around me. Those who browsed my booth, browsed. But those who shopped my booth, purchased. If someone browsed and moved on, fine. Not everyone is a "candle person," so why should I try to develop a sale? But if someone starting shopping my booth, it was easy to develop conversation about my product and covert the shopper into a buyer. was to create an "atmosphere"
with the wine bottle and glasses. While my first show was not a stellar success, I enjoyed it. I enjoyed meeting people and introducing them to my product. I have a good product, and it was validated by the purchases made by the few people who attended the event. And I also learned my limitations. I'm not ready for a large show. No multi-day events. But I am ready to participate in two to three good, one day shows this fall. And I have the support of a wonderful fiance and an incredible son, both of whom gave up their weekends to help me. I welcome your comments and wisdom. Thank you so much for your comments and thoughts! The June fragrance of the month is....STRAWBERRY! It's hard to believe that only one year ago I announced my first fragrance of the month, same as today, Strawberry! Only to take it a step further, I've decided to announce two additional fragrances for your sensual pleasure: Strawberries & Creme and Strawberry Jasmine. Strawberry, in and of itself, is a thrill of its own. Sweet, juicy, and fragrant, you will think these small berry fruits are being stirred into a sugar syrup in your own kitchen. Bring on the shortcake, the cheesecake, or the ice cream...you will not be disappointed with the fragrance of this candle. Strawberries & Creme is a custom blend I also introduced last summer. Providing a lighter, richer dose of strawberry, this fragrance adds a healthy dose of vanilla. What comes to mind to me is sliced strawberries on a bed of freshly whipped creme fraiche, ok, maybe yogurt if you're being healthy. Strawberry Jasmine is a new fragrance for 2012. While inspired by this list of trendy fragrances for 2012, testing proved it to be fruity, floral and feminine, and an eastern flair to an early summer blend. The strawberry is fresh, sweet, and citrus, providing a rich undertone base, and jasmine adds top floral notes, creating a slightly exotic Asian blend. 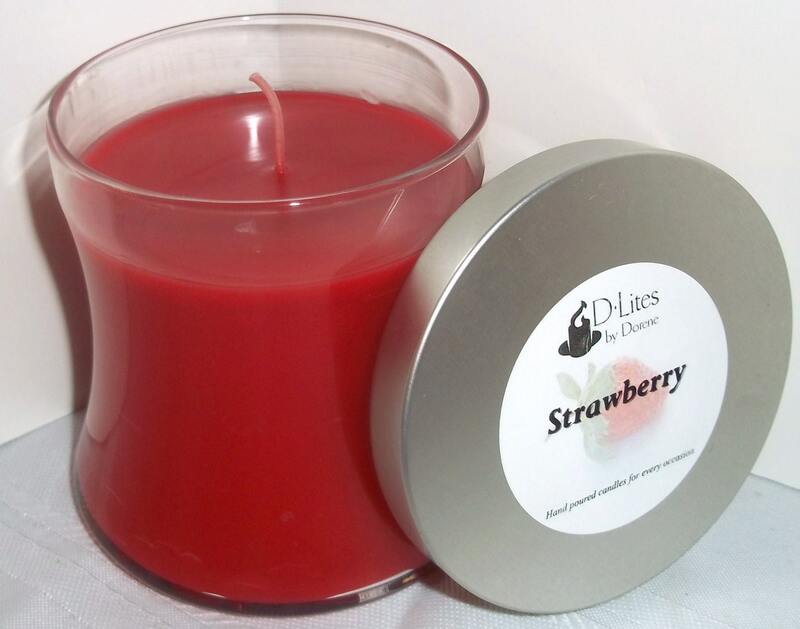 All strawberry fragrances are 10% off throughout the month of June, and are available in home fragrances of candles, room & linen sprays, and diffuser oils, as well as bath & body fragrances of lotions, body wash, and body sprays. For a complete listing of available products, please visit my Etsy shop here. I'll also be posting a board of my favorite strawberry images and recipes on my Pinterest board here. I hope you'll stay tuned!